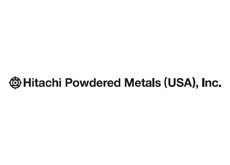 Hitachi Powdered Metals (USA), Inc. | Network Directory : Hitachi in the U.S.A.
Hitachi Powdered Metals (USA) is owned by Hitachi Powdered Metals Co., LTD of Japan, the largest powdered metal company in Asia. We maintain stringent quality control at every step of the manufacturing process and ensure our powdered metal products are developed with intricate precision. Hitachi employs advanced powdered metallurgy (PM) techniques for the production of powdered metals for the automotive industry. Our cost and energy efficient PM process ensures that all products have controlled porosity for lubrication and offer durability and reliable performance.